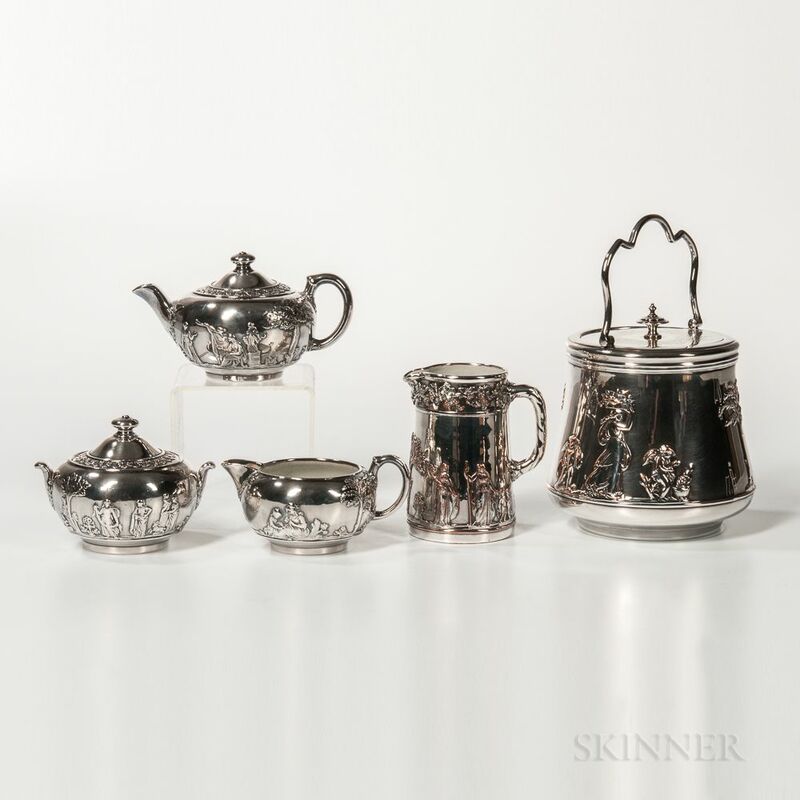 Five Wedgwood Silver-plated Stoneware Items, England, late 19th century, each with classical figures in relief, a covered biscuit jar with silver-plated rim, handle, and cover, ht. 5 3/8, a tall jug, ht. 4 1/2, a covered teapot, ht. 3 1/2, a covered sugar bowl, ht. 3 1/2, and creamer, ht. 2 1/2 in. ; impressed marks. Biscuit jar: Plating consistently worn to copper at points of high relief. Tall jug: Hairline running top to bottom visible on inside only. Plating consistently worn to copper at points of high relief. Tea set are all in very good condition.